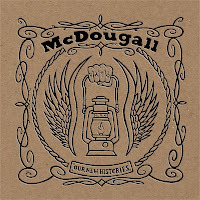 McDougall is folk-singing hurricane of a one-man band, pounding out the bottom end on a kick drum and high hat as he powerfully strums his guitar. Our New Histories is full of tales of traveling, colorful characters and their lives. This is music for and about people. 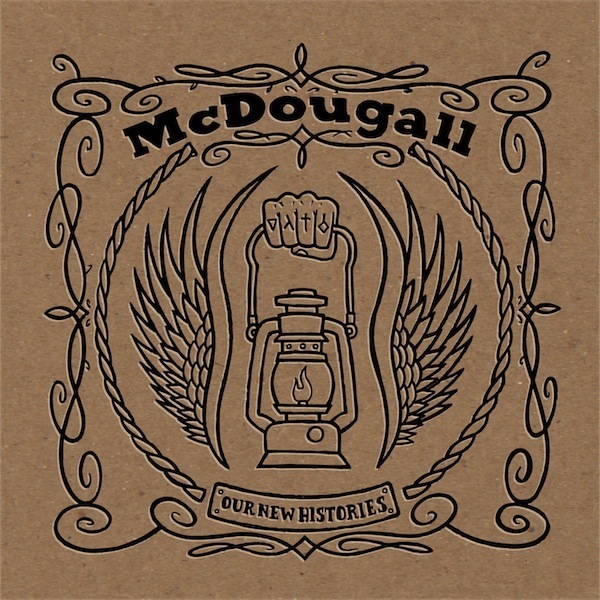 McDougall's lyrics have a confident stride and almost sound like a preacher's parables. When the songs build they gain a sense of foreboding urgency, as if fire and brimstone might rain down at any minute. Like the Builders and the Butchers, the impending doom on "Around This Fire" and "18 Days Of Rain" (mp3) sounds like a celebration. More upbeat songs, like "Line By Line" and "Time To Move" seem ready to hop off the boxcar and lead the crowd to the dance hall. He commanded the stage when I saw him open for Hillstomp a couple weeks ago, and the album captures that same excitement and devilish glee that made me a fan.